In September 2013, I happened to be in San Francisco. 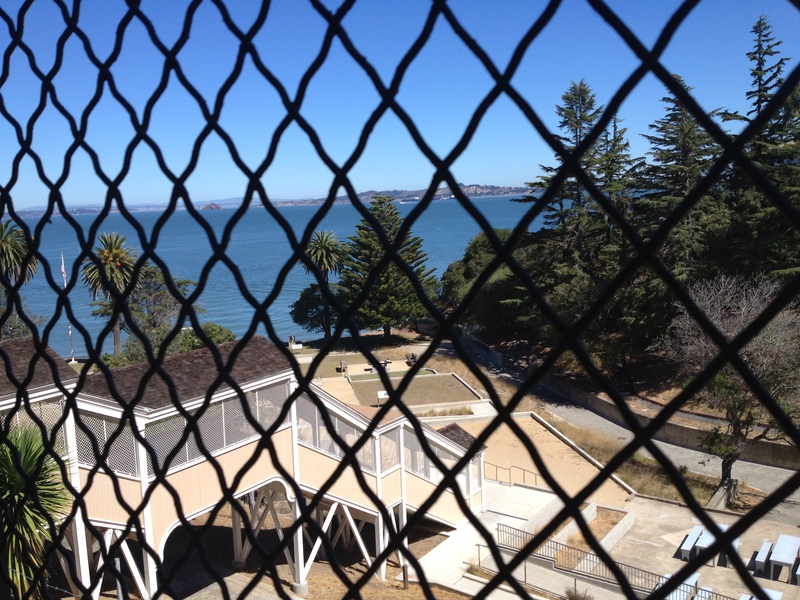 I was working on the first draft of a book of poems on the history of the Angel Island Immigration Station and took the opportunity to revisit the place. This time, I brought a camera. There was not a trace of fog in the bay all day. 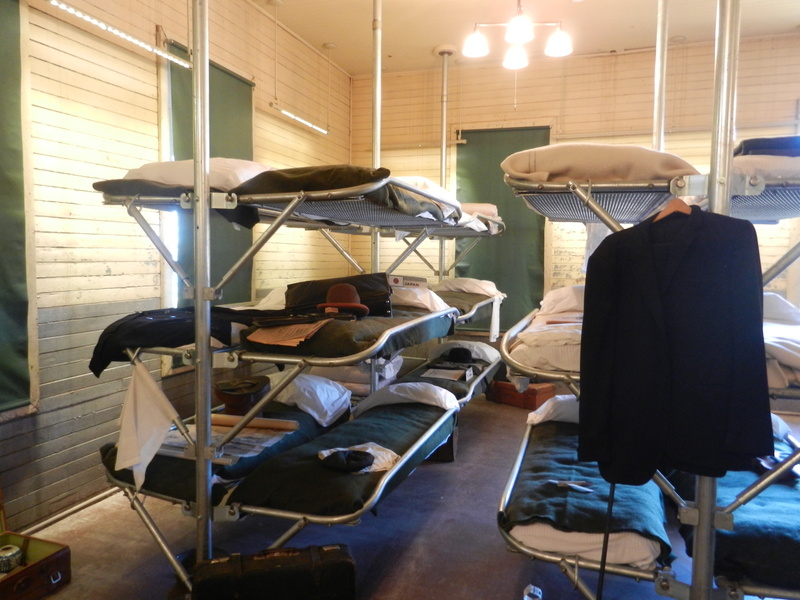 From 1910 to 1940, the Angel Island Immigration Station was America’s main port of entry on the West Coast. 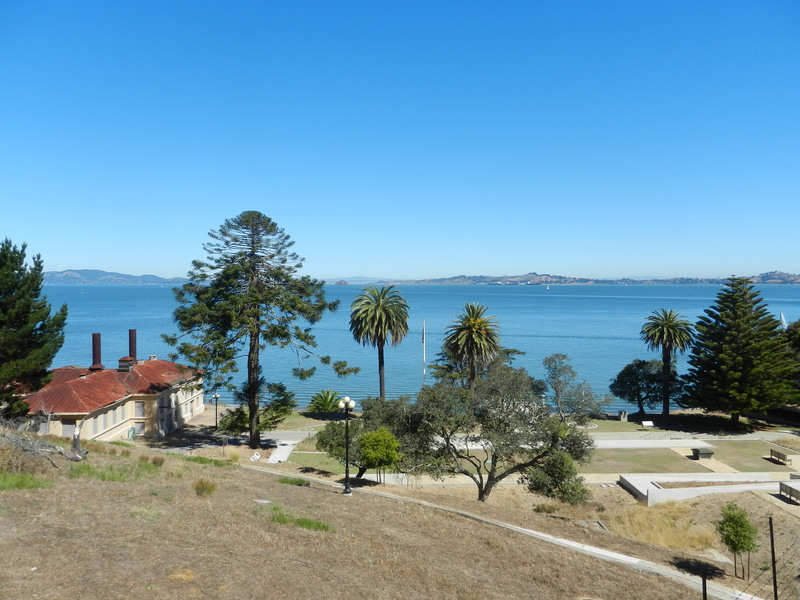 Located in the San Francisco Bay, a mile off the coast from Tiburon, Angel Island was previously used as a military fort. 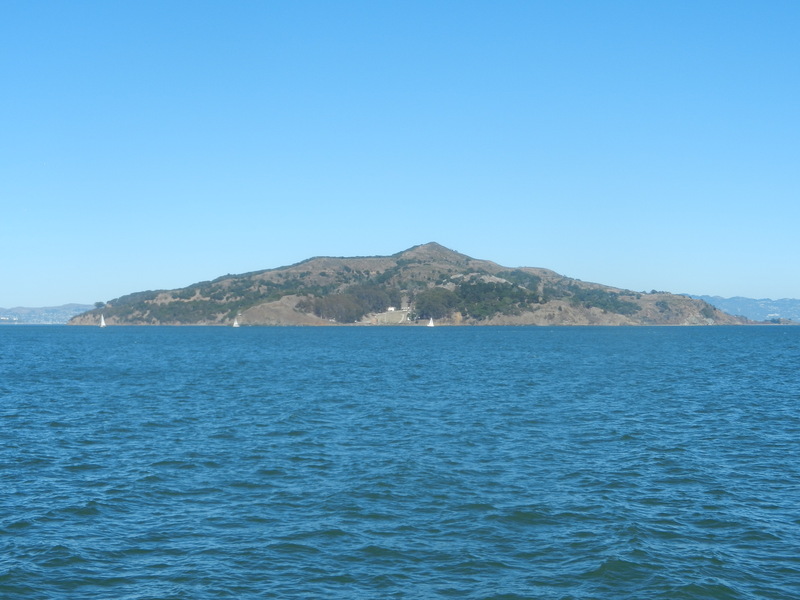 Like on Alcatraz, the cold bay currents were seen as deterrents to escape. 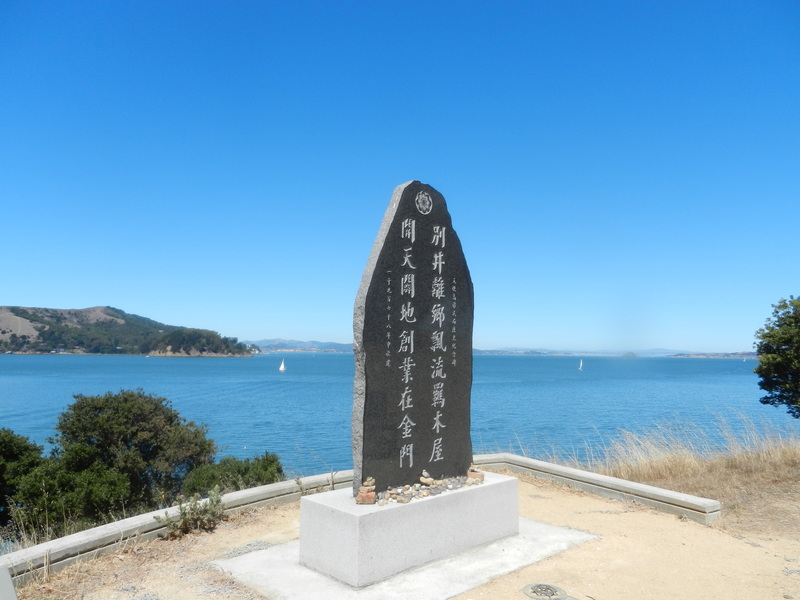 About a million immigrants arrived on Angel Island. The majority were Chinese and subject to the Chinese Exclusion Act of 1882. This law made exemptions for merchants, diplomats, teachers, students, U.S. citizens, and their immediate families. Many Chinese were detained for weeks, months, and in some cases years as they tried to prove they met the exemptions. The interviews were grueling. Officials asked 200 to 300 questions over a period of days. The Chinese were housed in overcrowded bunks. They could leave only for meals and at designated recreation hours. The few Europeans, who usually stayed for a day or two, if at all, lived in separate quarters. 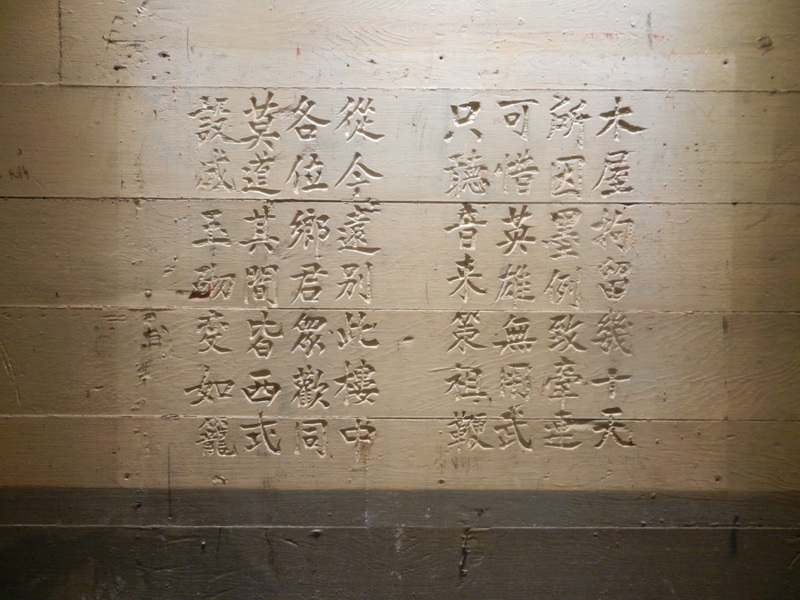 Bored, anxious, and frustrated, some of the Chinese wrote poems on the barrack walls. They filled the walls with poetry. 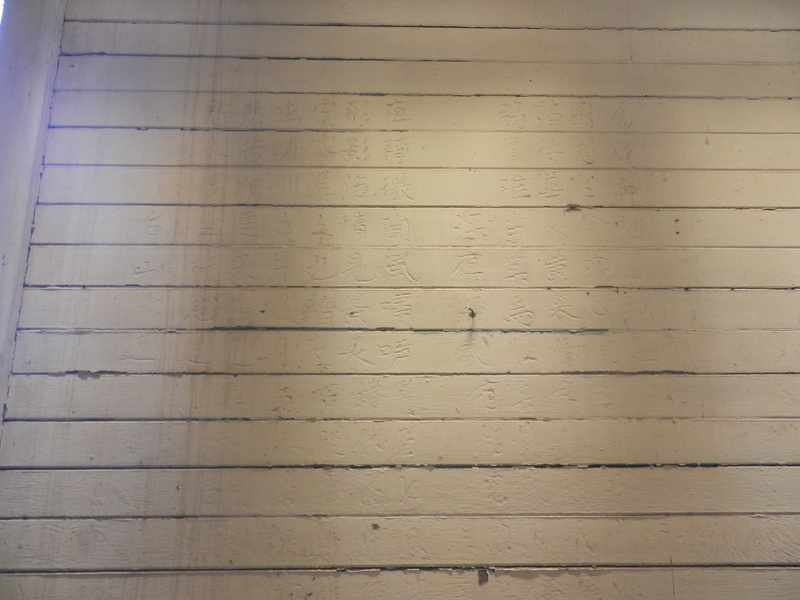 After decades of neglect, most of the words have faded into the wood. In 1940, a fire destroyed the administrative center and women’s barracks. The immigration station closed and the detainees were moved to a San Francisco county jail. A San Francisco restaurateur donated this monument in honor of the immigrants who found themselves in prison on the way to the land of freedom.